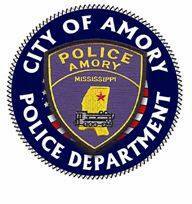 This page has all Press Releases issued by the Amory Police Department since the creation of our online submission. You will find a database of prior Press Release Statements as well as the most current at the top. Please contact us with any questions or concerns. Press Release Statements are listed by date with the newest on top. If you receive a telephone call from someone claiming to be with Amory Utilities and they demand a payment over the phone or your utilities will be disconnected, it is a scam. The City of Amory DOES NOT use credit cards or debit cards as a form of payment, and we do not take credit card payments over the phone.